Saudi Crown Prince Mohammed bin Salman could well dash expectations that he is gunning for a break with Sunni Muslim ultra-conservatism rather than a shaving off of the rough edges of Wahhabi ideology that has been woven into the kingdom’s fabric since its founding more than eighty years ago. Prince Mohammed has fuelled expectations by fostering Islamic scholars who advocate a revision of Wahhabism as well as by lifting a ban on women’s driving and creating space for entertainment, including music, theatre, film, and, for conservatives, controversial sports events like wrestling. The expectations were reinforced by the fact that King Salman and Prince Mohammed have called into question the degree to which the rule of the Al Sauds remains dependent on religious legitimization following the crown prince’s power grab that moved the kingdom from consensual family to two-man rule in which the monarch and his son’s legitimacy are anchored in their image as reformers. To cement his power, Prince Mohammed has in the past year marginalized establishment religious scholars, detained critics and neutralized members of the elite by arresting relatives, prominent businessmen, and officials and stripping them of much of their assets. In doing so, Prince Mohammed has subjugated the kingdom’s ultra-conservative religious leaders through a combination of intimidation, coercion and exploitation of religious dogma particular to a Saudi strain of ultra-conservatism that stipulates that Muslims should obey their ruler even if he is unjust. Islam “dictates that we should obey and hear the ruler,” Prince Mohammed said. In an optimistic projection of Prince Mohammed’s changes, Saudi researcher Eman Alhussein argued that the crown prince’s embrace of more free-thinking scholars has encouraged the emergence of more “enlightened sheikhs,” allowed some ultra-conservatives to rethink their positions, enabled a greater diversity of opinion, and fundamentally altered the standing of members of the religious establishment. “The conflicting and different opinions presented by these scholars helps demolish the aura of ‘holiness’ some of them enjoyed for years… The supposed holiness of religious scholars has elevated them beyond the point where they can be questioned or criticized. Ending this immunity will allow the population to regain trust in their own reasoning, refrain from being fully reliant on scholarly justifications, and bring scholars back to Earth,” Ms. Alhussein said. The crown prince’s approach also involves a combination of rewriting the kingdom’s religious-political history rather than owning up to responsibility and suppression of religious and secular voices who link religious and social change to political reform. Some Saudi scholars argue that the degree of change in the kingdom will depend on the range of opinion among religious scholars. They suggest that change will occur when scholars are divided and stall when they speak with one voice. The wide range of opinion among Islamic scholars coupled with Prince Mohammed’s autocratic approach would appear, according to the argument of these scholars, to largely give him a free hand. Reality, however, suggests there may be other limits. “Prince Mohammed is unlikely to pull off a break with the Wahhabi religious establishment because the clerics have proved to be resilient and have displayed a great capacity to adapt to transitions and vagaries of power… The crown prince’s public denunciations of extremist ideas and promises to promote moderate Islam have been interpreted as a renewed desire to break with Wahhabism. A closer reading shows that Prince Mohammed primarily condemns the Muslim Brotherhood and jihadists and exonerates Wahhabism,” said Nabil Mouline, a historian of Saudi religious scholars and the monarchy. Prince Mohammed has indeed in word and deed indicated that his reforms may not entail a clean break with Wahhabism and has been ambiguous about the degree of social change that he envisions. Similarly, there is no indication that gender segregation in restaurants and other public places will be formally lifted any time soon. “Today, Saudi women still have not received their full rights. There are rights stipulated in Islam that they still don’t have. We have come a very long way and have a short way to go,” Prince Mohammed said. Multiple incidents that illustrate contradictory attitudes in government policy as well as among the public suggest that liberalization and the restructuring of the elite’s relationship to Wahhabism could be a process that has only just begun. The incidents, moreover, suggest that Prince Mohammed’s top-down approach may rest on shaky ground. Prince Mohammed last month sacked Ahmad al-Khatib, the head of the entertainment authority he had established after a controversial Russian circus performance in Riyadh, which included women wearing “indecent clothes,” sparked online protests. Complaints of creeping immorality have in the last year returned the religious police, who have been barred by Prince Mohammed from making arrests or questioning people, to caution unrelated men and women from mixing. The police, officially known as the Commission for the Promotion of Virtue and the Prevention of Vice, said in a statement in 2017 that it was starting “to develop and strengthen fieldwork.” It said its officers would have a greater presence on “occasions that require it,” such as school holidays. Saudi sports authorities in April shut down a female fitness centre in Riyadh over a contentious promotional video that appeared to show a woman in figure-hugging workout attire. “We are not going to tolerate this,” Saudi sports authority chief Turki al-Sheikh tweeted as he ordered that the centre’s license be withdrawn. A Saudi beauty queen withdrew last December from a Miss Arab World contest after being attacked and threatened online. Holders of tickets for a concert in Jeddah by Egyptian pop sensation Tamer Hosny were surprised to receive vouchers that warned that “no dancing or swaying” would be allowed at the event. “No dancing or swaying in a concert! It’s like putting ice under the sun and asking it not to melt,” quipped a critic on Twitter. Shireen al-Rifaie, a female television, was believed to have fled the kingdom in June after the General Commission for Audio-visual Media said she was being investigated for wearing “indecent” clothes during a report on the lifting of the driving ban for women. Ms. Al-Rifaie’s abaya, the garment that fully cloaks a woman’s body, was blown open as she was filming on a street a report on what the lifting of the ban meant for women. 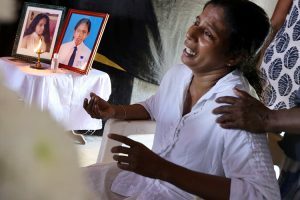 While women celebrated last month’s lifting of the ban, many appeared apprehensive after activists who had campaign for an end to the ban were arrested calling into question Mohammed’s concept of liberalization. Many said they would stay off the streets and monitor reactions. Ms. Al-Sherif said she faced abuse from men in her neighbourhood soon after she began driving in a bid to ease her financial pressures. “From the first day of driving I was subjected to insults from men,” she said. Ms. Al-Sherif was showered with messages of support on social media once the incident became public. “While the lack of concerted resistance thus far towards women driving may in part speak to a more progressive and younger Saudi society, it would be remiss to assume that those opposing such policies have disappeared from view altogether,” cautioned Sara Masry, a Middle East analyst who attracted attention in 2015 for her blog detailing her experience as a Saudi woman living in Iran. In adding speed and drama to the Al Saud and the government’s gradual restructuring of its relationship to Wahhabism, Prince Mohammed was building on a process that had been started in 2003 by then Crown Prince Abdullah. 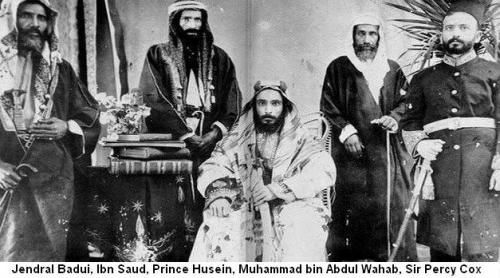 At the time, Prince Abdullah organized the kingdom’s first national dialogue conference that brought together 30 religious scholars representing Wahhabi and non-Wahhabi Sunnis, Sufis, Ismaili, and Shiites. Remarkably, the Wahhabi representatives did not include prominent members of the kingdom’s official religious establishment. Moreover, the presence of non-Wahhabis challenged Wahhabism’s principle of takfir or excommunication of those deemed to be apostates or non-Muslims that they often apply to Sufis and Shiites. The conference adopted a charter that countered Wahhabi exclusivity by recognizing the kingdom’s intellectual and religious diversity and countering the principle of sadd al-dharai (the blocking of the means),a pillar of Wahhabism that stipulates that actions that could lead to the committing of a sin should be prohibited. Sadd al-dharai served as a justification for the ban on women’s driving. Saudi Arabia scholar Stephane Lacroix sounded at the time a cautionary note that remains valid today. “It…seems that part of the ruling elite now acknowledges the necessity for a revision of Wahhabism. It has indeed become clear that only such a move would permit the creation of a true Saudi nation, based on the modern and inclusive value of citizenship—a reality still missing and much needed in times of crisis. However, the sticking point is that this ideological shift must go hand in hand with a radical reformulation of old political alliances both at home and abroad. And therein lies the problem,” Mr. Lacroix said. Another most interesting and informative peace. I have one question: what do you think prompted these changes: the influence of the West, actual enlightenment, or the desire to further expand their religious influence by making it appear less insane. Or something else?